It’s Business, It’s Okay To Make Money! Hello good people! We wanted to have a chat about pricing your services. In the office earlier today we were talking about the dilemma that many small businesses face when it comes to pricing their services – price too low and you can’t make ends meet but price too high and you risk scaring potential clients off. You’re also faced with difficult questions such as will you charge by the hour or per project? Will you require a deposit? And should you put your prices on your site? So we’ve created a super simple pricing formula to help you out in a tough spot. HOW DO I PRICE MY SERVICES? It’s a good idea to make a list of all the services that you offer your clients, e.g. family portraits, school photos and newborn portraits. 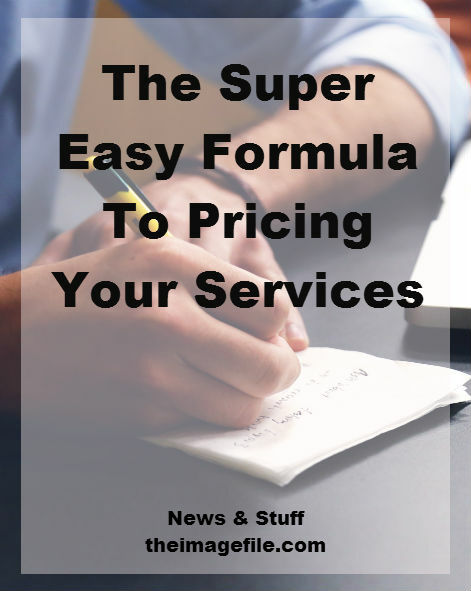 This will make it easier to nail down your prices as it should become clear which services on your list will be more expensive than others. Don’t forget to include any packages you are offering within your services. For example, if you are a wedding photographer you might offer different time coverages of the big day; e.g. ceremony and couple portraits, just the reception or the whole day. 2. Are you charging per hour or per project? This question is governed mainly by your genre of business and your own preferences. If you are offering multiple packages like the ones I mentioned above then you might prefer to charge hourly. So how do you work out your hourly rate? This is a really hard question to answer as there are so many methods to choose from. The main things to factor in when deciding an hourly charge is the demand for your services, your training or education and your experience in the industry. Also, it’s important to know how much you need to be earning per hour to make ends meet. Write out each step of that project, from start to finish, and make an estimate on how many hours each step will take. Then multiply the total number of hours by what you want to be paid per hour. So for example if you know that your school photos are going to take 14 hours (7 hours x 2 days) and your hourly rate is £100 then your listed package is going to cost £1,400. This method has many benefits. Mainly it gives your clients an expectation right from the start which means a higher chance of them booking you. Secondly, it cultivates trust between your business and your clients as they know where they stand and there aren’t any nasty surprises. And thirdly, it means less pressure on you as you know that if you go over that estimated time, it’s on you. If you complete the project on time, then great and if you’re ahead of schedule, even better! WHAT TYPE OF PAYMENT PLAN SHOULD I OFFER? This is totally down to personal preference. The benefit of having a payment plan in place is that you receive your payments how and when you want. A lot of businesses ask for a non-refundable deposit before they even start the job. This is a great idea if you want to make sure that your clients are serious about working with you. Equally some businesses, especially in the design industry have a three stage payment plan. This includes an initial non-refundable deposit, to “book your space” in their diary, a second payment when they have done half of the project and then the third payment on completion. HOW MUCH SHALL I CHARGE FOR MY PRINTS? This is a difficult thing to answer as how you charge for prints is mainly dependant on your business and your personal preferences. The main thing to be aware of is that print prices seem to vary depending on your geographical location. However, the best way to decide what to charge is by looking at competition in your area and making an informed decision. Another thing to be aware of is that your print prices should make sense with your service charges. Simply, if you charge a lot for your time then consider including prints are part of your service. On the other hand if you offer cheaper services then your prints are going to be where you make your money so price accordingly. HOW DO I RAISE MY PRICES? In order to raise your prices you need to have an increasing demand for your services. And in order to increase the demand for your services you need to develop a loyal and engaged audience. There are many ways of building a loyal following including social media and blogging. By sharing posts that benefit your ideal clients then your audience should grow. Many people are afraid to raise their prices in case they scare off their current clients and make themselves undesirable to potential ones. However, if you increase your demand then the transition of raising your prices will be easy. SHOULD I POST MY PRICES? The issue of whether or not to post your prices online is a common dilemma. However, I truly believe that posting your prices on your site solves many issues. First, it cuts down the amount of time spent on responding to enquiries that never amount to actual work. If your prices are effectively “hidden” from your customers you spend a lot of time interacting with people who are looking for something way below your price point. This wastes both your time and their time. Secondly, when your prices are out there for everyone to see, you know that every enquirer is serious about working with you. By the time someone enquires about your business they have normally taken a look at the services and packages you offer as well as any other info on your site. If they’ve also taken a look at how much it all costs, and still get in contact, you can assume they’re on board with all of the above. It saves you time, it saves them time and it usually results in a booking. Finally, think about it. Would you want to contact someone when you have NO IDEA what they are charging? Most likely the answer is no. It can be embarrassing for the person enquiring if they find out you’re out of their price range and it can be awkward for the business owner to hear that they are too expensive. So why not make it easy and just pop your pricing on your site? One of the biggest things to learn throughout this pricing experience is that you can’t sacrifice for your clients to the detriment of your business. We all want to play the nice guy and offer an amazing steal of a deal to our clients. Unfortunately, while you may have your client’s best interests at heart or just really don’t want to offend someone, you can’t eat off politeness. Not only is this a bad habit for business but it also devalues your work. In order for people to take you, your business and your work seriously, you have to take yourself seriously. 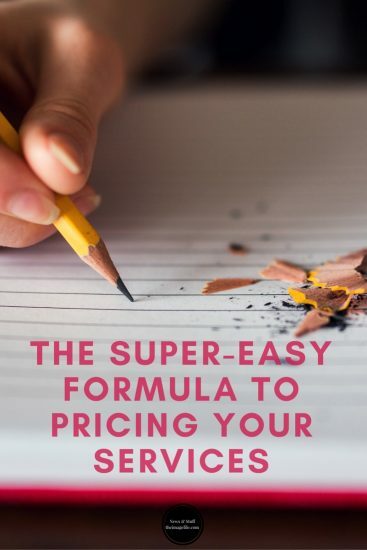 Of course it’s great to consider your clients when you are working out your prices, especially if the whole point of your pricing is to attract a certain type of client but it’s even more important to consider what you need to charge in order to keep your business and home running. As we said, it’s business – it’s okay to make money! It’s always great to have feedback. Let us know in the comments below if there are any pricing questions that we haven’t covered in the post! How do you price your services? What are your biggest pricing dilemmas?